Traditional customer onboarding relies heavily on following manual data entry and collecting the right documentation (KYC compliance) from the customer. This manual process is lengthy, prone to errors, and it is actually a stumbling block in any digital onboarding initiative. 01 Systems provides an end to end and fully digitalized customer onboarding solution that can be used through any channel, that supports either manual (physical paper) or digital process, and can work seamlessly with your back end banking applications including legacy systems. Built on 01 Systems cutting edge BPM platform (Genesis) which provides a set of tools to model the account opening and account maintenance processes in addition to an out of the box support for digital devices and technologies (OCR, Card Readers, Passport Readers..) that makes the entire process effortless and fully automated. The solution is built with mobility in mind, the customer onboarding process can be used remotely and at any location. The solution takes advantage of devices such as iPad, tablets, and finger vein or card reader devices to allow for the collection of a full KYC set of information in minimum time and from any location. Implementing this solution provides a substantial benefit to any institution in terms of enhanced customer experience, operational cost savings, and better management and tracking of new applications. 01 Systems BPM is a codeless platform for creating robust, digitalized and scalable enterprise applications fast. 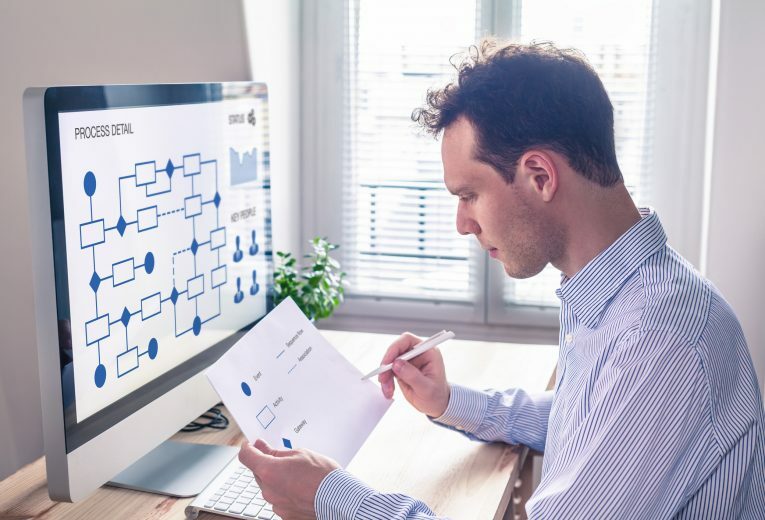 The platform supports the configuration of business processes to automate workflows across business teams to efficiently manage organizational processes. These workflows can be monitored and managed through dashboards in an easy and efficient manner.